Suppose you're not the holiday type. Neither a Grinch nor a Humbug, you're simply one of those who doesn't drink egg nog when it comes to holiday festivities and season's greetings. But while families are sitting down to a fat Christmas goose or caroling around the neighborhood, what's a conscientious Christmas objector to do? 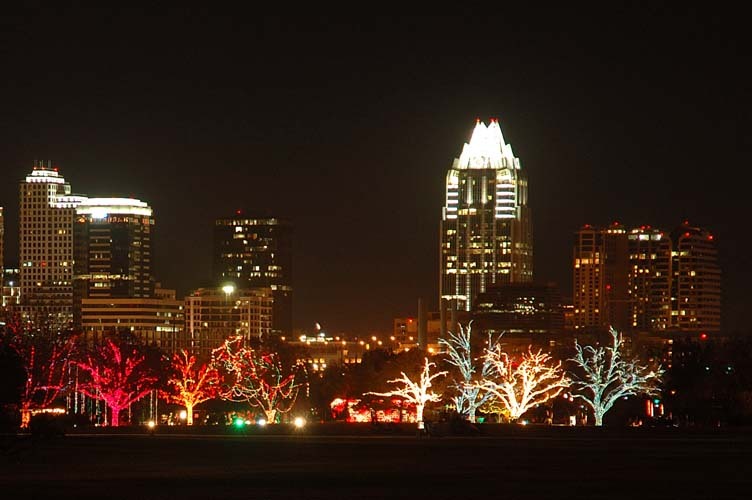 Lucky for you, we here at 512area.com have compiled a list of some of Austin's favorite bars and restaurants waiting for you with open doors and a warm barstool come Christmas Eve & Day. Hipsters and lovers of all things trendy alike, hold on to your fedoras! Nestled deep in the heart of South Congress Avenue--one of Austin's premiere neighborhoods-- Hotel San Jose is best described as an urban bungalow-style hotel boasting lush greenery and a warm, comfortable 1970s throwback feel. Not simply a great place for out of towners to visit in style, Hotel San Jose has become a destination for local creatives and professionals to meet and inspire a sense of community, unlike any other local haunt in Austin. Skip the Christmas cookies and enjoy a savory cheese plate with a thirst-quenching Shiner beer in the Hotel San Jose lounge from 12 p.m. to midnight. Open Christmas Eve: YES, 11 a.m. to 11 p.m. Forget everything you know about traditional sports bars. 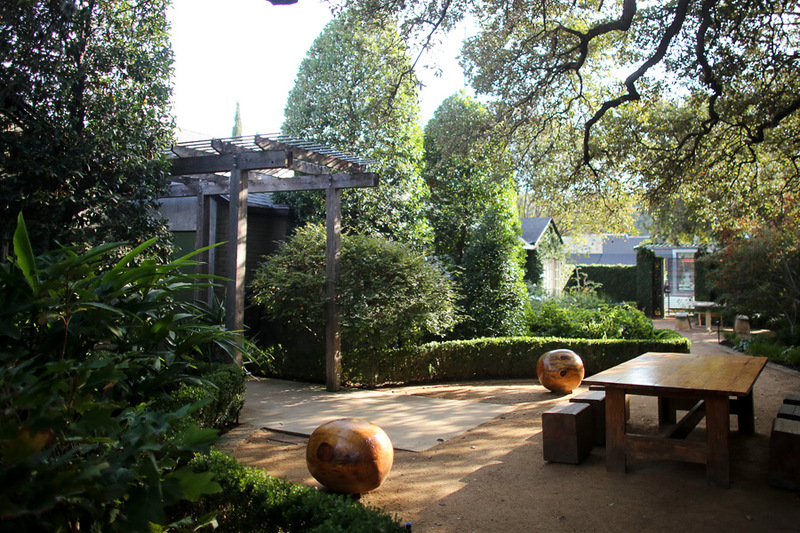 The Park at the Domain has become a fixture of the local cuisine scene, and with good reason. 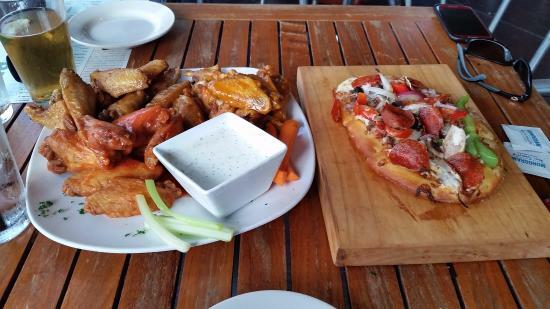 From pub grub favorites such as fried pickle spears and sirloin sliders to flavorful fares such as mahi-mahi tacos and artisan flatbread pizzas, The Park has literally something for everyone. Health and fitness enthusiast? Sample The Park's cedar plank salmon with Spanish rice and a fresh salad. Looking to grub on a burger so packed with flavor that the juices cascade down your forearms? Open wide for the Poblano Burger, piled high with poblano peppers, crispy tortilla strips, and scrumptious mozzarella cheese. With plenty of craft beers and cocktail favorites with which to wash down your meal, The Park at the Domain is one surefire option for a decadent holiday meal. Though located in an unassuming little spot on East 7th Street, Koriente Restaurant is an Asian restaurant and tea house serving up sensible, sensational cuisine in a tranquil atmosphere. The difference between Koriente and your everyday eatery? Koriente Restaurant can boast low calorie, MSG-free balanced meals that won't ask you to sacrifice flavor or nutritional value for a decent price. 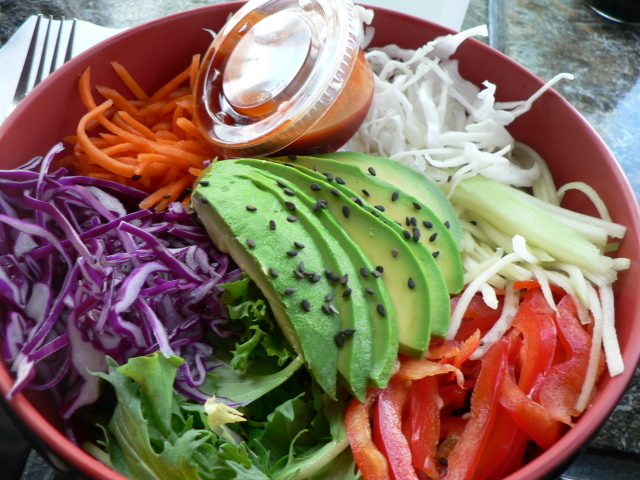 Koriente's fresh vegetables are hand cut daily for maximum flavor potential and optimal healthiness--as they boast on their website, you won't find microwaves or deep fryers in Koriente's kitchen. Shiitake tofu served atop a bed of spring greens and rice is merely one favorite at Koriente Restaurant, though you can't go wrong with any of their wholesome, vegan-friendly options. At Koriente Restaurant, you can treat yourself to a holiday blowout with none of the guilt or threat of weight gain--can you say the same for a pound of Nana's maple fudge? Don't hold the fact that they're a favorite haunt for New England Patriots fans against them-- B.D. Riley's Pub, located deep in the heart of Austin's East 6th Street entertainment district, is an authentic Irish pub experience you'd have to fly all the way to Galway, Ireland to recreate. You'll find the Guinness draft is as plentiful as the craic ("fellowship and fun") down at B.D. Riley's Pub, where you can enjoy everything from live entertainment by local bands and artists to Notre Dame football games and pub trivia. B.D. Riley's Pub offers up an array of treats from American pub classics such as cheese and bacon-stuffed potato skins to traditional Irish bites like beer-battered fish n' chips to the more curious and daring, such as their exquisitely flavorful jalapeño deviled eggs. Whether it's 7 p.m. on Christmas Eve or noon on the big day itself, it's a perfect time to belly up to the bar at B.D. Riley's Pub and sample a treat from their extensive whiskey list. If you find yourself doing a little last minute Christmas shopping near the UT Austin campus, make it a point to swing by Crown & Anchor Pub. 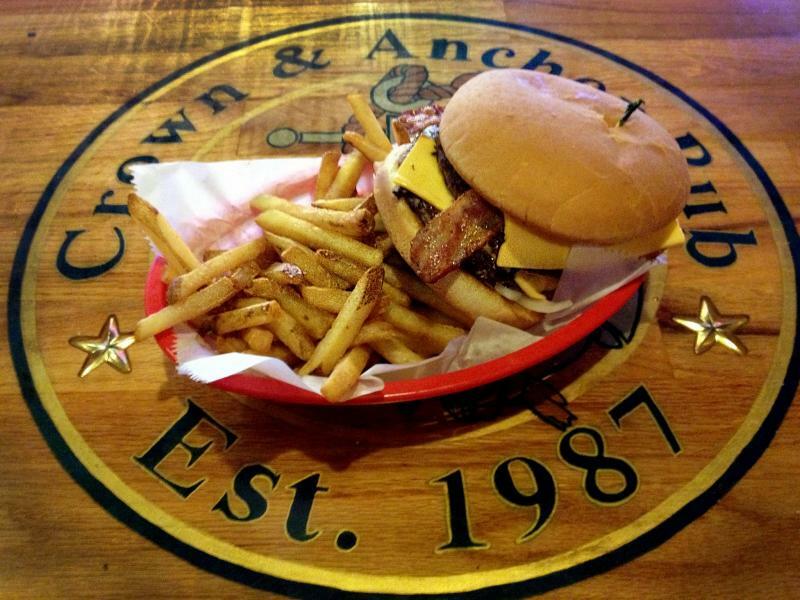 For over 25 years, Crown & Anchor Pub has been serving up American cuisine classics and a dizzying array of beers, wines and spirits to tease and please your taste buds. Perfect for pints, pitchers and a couple rounds of pool, the relaxed atmosphere at Crown & Anchor Pub lets you take time out of your hectic life to unwind with friends and friendly strangers alike. Chili cheese dogs, hot french fries and ooey-gooey nachos piled high with cheese and toppings are just some of the comfort food favorites you can chow down on at Crown & Anchor Pub. Wet your whistle with an American lager, hearty hefeweizen, or tart cider-- Crown & Anchor Pub's got you covered no matter what your preference.